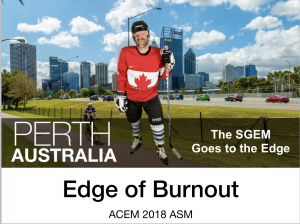 As you may know, I was invited to give a keynote address on burnout at the Australasia College of Emergency Medicine 2018 Annual Scientific Meeting (#ACEM18) in Perth, Australia. This turned out to be a very meta event. 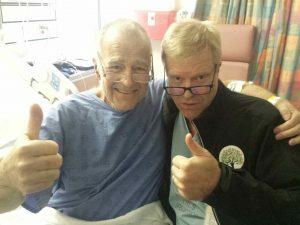 A few months leading up to the presentation my dad, Dr. Ken Milne Sr. got seriously ill. While he faced this with his usual grace and dignity, I was living on the edge of burnout. He was admitted to hospital shortly before I was scheduled to leave for Australia. We had a number of discussions and he insisted that I go and not cancel the trip. We reviewed my keynote presentation in the hospital and he gave me the thumbs up. He was very proud and was telling all his treating physicians about his son’s honour to be talking at an international medical meeting. I agreed to go to Australia with his blessing but promised I would live stream the presentation to his hospital bed on the SGEM Facebook page. During the talk I gave him a big shout out and shared my story about being on the edge of burnout. Working in the emergency department we are on the edge of life and death and that can lead to burnout. Dr. Michelle Johnston (Dustfall) did a fantastic job the during the ACEM18 opening presentation highlighting what we do everyday. The word burnout was coined by Burnout was a term coined by Herbert Freudenberger in 1974. He defined it as “a state of fatigue or frustration that resulted from professional relationships that failed to produce the expected rewards”. There are a number of other ways to define burnout but one of the most widely known and used to assess burnout is the is the Maslach Burnout Inventory (MBI) Score. It was designed by Christina Maslach and Susan Jackson and published in 1981. A recent study of US physicians showed that more 50% had at least one symptom of burnout. The highest prevalence of burnout (70%) was reported by emergency physicians (Shanafelt et al 2015). One of the most common reasons cited for burnout is the electronic medical record (EMR) (Shanafelt et al 2016). Burnout can have negative consequences on physicians. 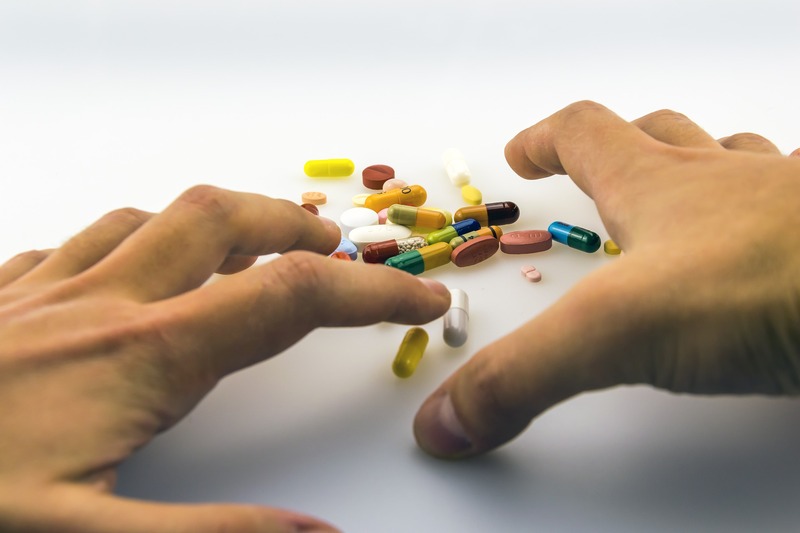 It may lead to depression, suicidal ideation, illness, and increased alcohol use. Burnout has also been associated with negative impacts on patient care including self-perceived medical error, risk of medical errors, and quality of care. If we are not healthy we cannot take good care of our patients. 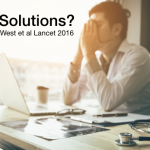 Some solutions have been suggested to mitigate physician burnout. West et al 2016 published a SRMA in the Lancet on interventions to prevent and reduce physician burnout. One intervention shown to have a positive impact on reducing burnout is mindfulness-based approaches. A recent study done in Australia looked at the efficacy of mindfulness to mitigate burnout (Ireland et al 2017). It provided some evidence that mindfulness can help decrease stress and burnout scores. Whether or not mindfulness training translates into long lasting changes and better patient care remains to be seen. 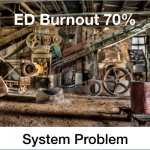 If burnout is 70% there is something wrong with the system. We cannot just focus on the individual and try to make them more resilient. We need to stop blaming the person for not being strong enough. It is important to support the individuals and give them tools like mindfulness while at the same time addressing the fundamental problems with the system. Another very important message from the talk was to be kind to each other. There is a great book by Dr. Brian Goldman called The Power of Kindness: Why Empathy Is Essential in Everyday Life. We interviewed him on an SGEM Xtra episode (Don’t Give Up: The Power of Kindness). We have a wonderful job, with crazy life-saving skills. We think fast and have all lots of cool tools. We can have a long and fantastic career. 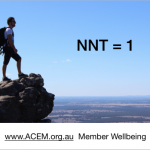 Being and EM physician we also have the opportunity to have a number needed to treat (NNT) of 1. It means there is a potential to help every single person that comes through the door. A chance to make the world a better place. However, we should not be consumed by the practice of emergency medicine and need to stay healthy ourselves. If you are feeling overwhelmed and on the edge of burnout reach out because there are resources. My dad and I spoke briefly after the talk and I told him how well it was received. It was the last time I spoke with my father. His voice was weak, but his spirit was strong. He told me how was proud and happy he was that the message was positively received by the audience. 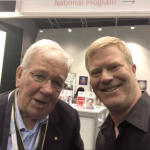 The first president of ACEM, Dr. Thomas Hamilton found me after the keynote address and wanted to say how much he enjoyed the talk and send a message to my dad in the hospital (click to watch video). The presentation was covered by the media and you can see a story about it on Croakey – Holy Smokes! This is one sick system. My dad got worse through the night. My older sister Kelly read out loud to him the West Australian newspaper article about BatDoc being in Perth, Australia (Holy jabs, it’s the flu fighter out to kapow vaccine doubters). Dr. Ken Milne Sr. peacefully died on November 20th, 2018 shortly after she read the article to him with my mom by his side. Thank you to the ACEM staff who showed hospitality and kindness to Barb and me. All the virtual hugs from FOAMed friends were appreciated. 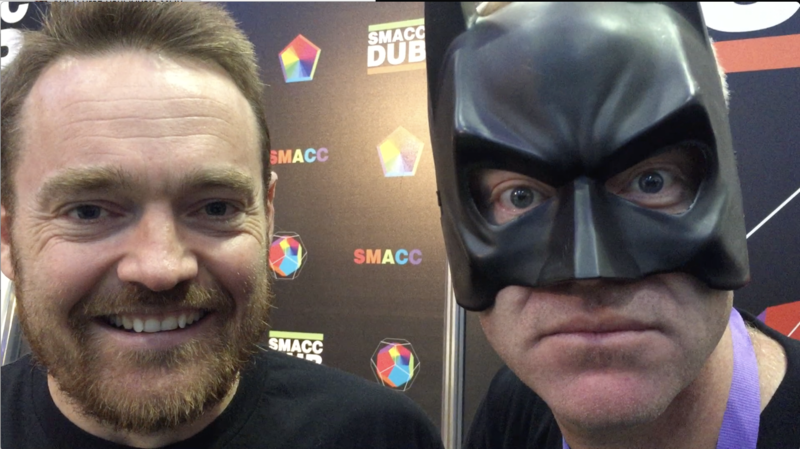 A special thank you to Dr. Ian Rogers for inviting me to ACEM18 and providing comfort. 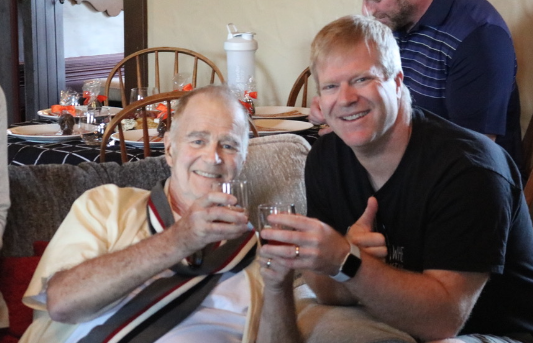 After my father passed, he sat with me, listened to a few personal stories and raised a glass of scotch in my dad’s honour. The trip to Australia has been full of memories and friendship I will never forget. 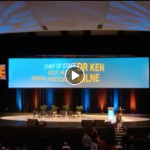 I’m not ok but I will be ok.
For this reason I am dedicating this ACEM18 keynote address on burnout and SGEM Xtra episode to my mentor, my hero, my dad. The music is from one of his favourite albums, Concert by the Sea by the Erroll Garner Trio. My dad taught me how to be a good person, a caring physician, a loving husband, a dedicated father and a decent human being. Please take time to listen to the presentation (iTunes). All the slides can be downloaded clicking this link. The references mentioned in the talk will be listed at the end of the blog pot. Close your eyes. Now think of that one person who you care about most in this world. When everything is crashing down around you who is the person you would turn to for help, your confidant, someone you can always count on to be there for you. Hold that image in your mind’s eye for a moment. Now open your eyes and call or text them so they know how much you love them. The SGEM will be back next week with a structured critical review of a recent publication. Trying to cut the knowledge translation window down from over ten years to less than one year. So, patients get best care on best evidence. Maslach, C.; Jackson, S.E. (1981). “The measurement of experienced burnout”. Journal of Occupational Behavior. 2 (2): 99–113. doi:10.1002/job.4030020205. Martini S, Arfken CL, Churchill A, Balon R. Burnout comparison among residents in different medical specialties. Acad Psychiatry 2004;28:240–2. Lemkau JP, Purdy RR, Rafferty JP, Rudisill JR. Correlates of burnout among family practice residents. J Med Educ 1988;63:682–91. Oreskovich MR, Kaups KL, Balch CM, et al. 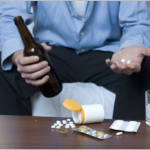 Prevalence of alcohol use disorders among American surgeons. Arch Surg 2012;147:168–74. West CP, Huschka MM, Novotny PJ, et al. Association of perceived medical errors with resident distress and empathy: a prospective longitudinal study. JAMA. 2006; 296(9):1071-1078. Shanafelt TD, Balch CM, Bechamps G, et al. Burnout and medical errors among American surgeons. Ann Surg. 2010;251(6): 995-1000. Firth-Cozens J, Greenhalgh J. Doctors’ perceptions of the links between stress and lowered clinical care. Soc Sci Med. 1997; 44(7):1017-1022. Grol R, Mokkink H, Smits A, et al. Work satisfaction of general practitioners and the quality of patient care. Fam Pract. 1985; 2(3):128-135. 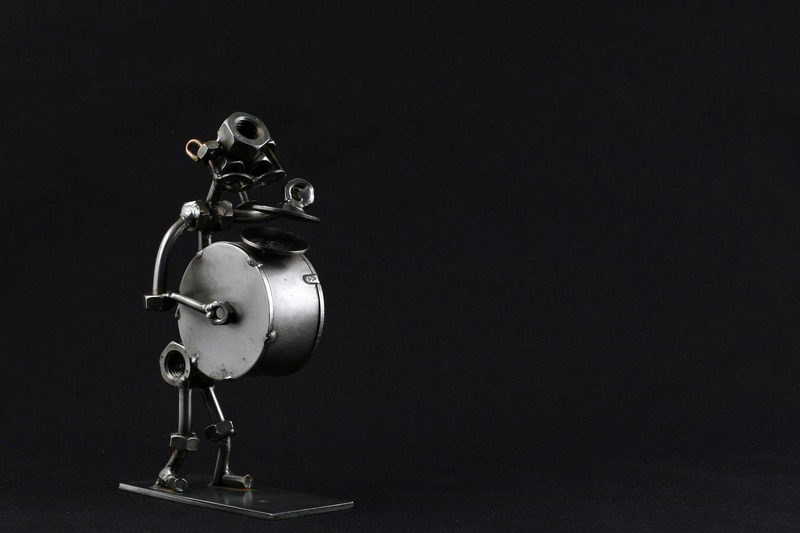 Whinge/Whinger – to complain; whine. West et al. Interventions to prevent and reduce physician burnout: a systematic review and meta-analysis. Lancet 2016; 388: 2272–81. Forntey L et al. Abbreviated Mindfulness Intervention for Job Satisfaction, Quality of Life, and Compassion in Primary Care Clinicians: A Pilot Study. Ann Fam Med 2013;412-420. doi:10.1370/afm.1511.